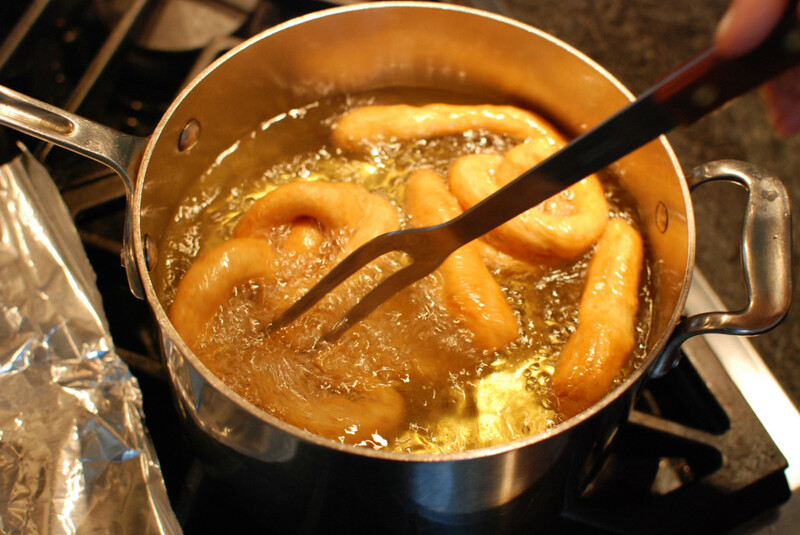 Some people spend the early days of January eating salads and avoiding carbs, but for our family the first week of the New Year is all about fried dough. 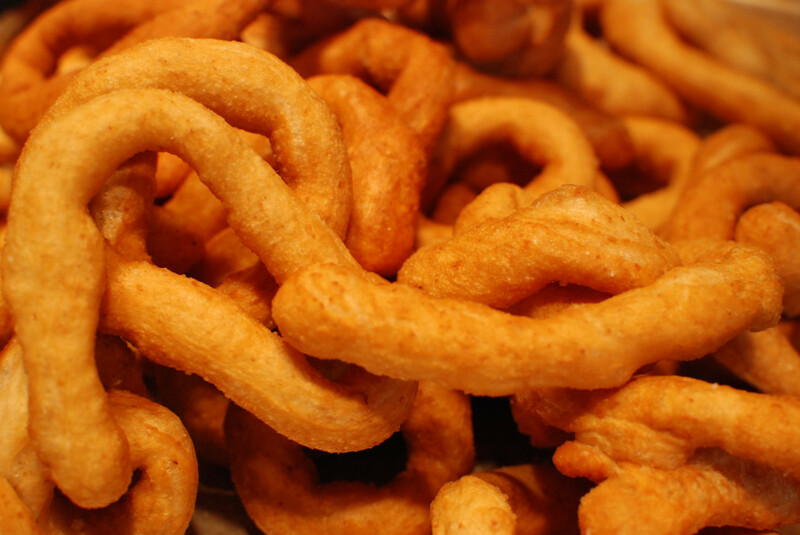 Not the sweet, sugary stuff you find at carnivals, but a slightly salty bread dough that is fried to golden perfection: Lalagithes (la-la-GHEE-thes). 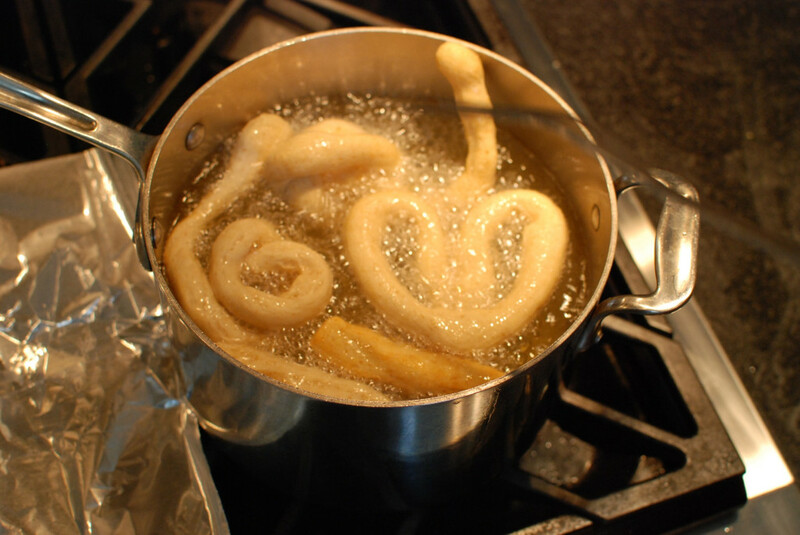 Every year on January 5th the people from our family’s region in Greece make Lalagithes to prepare for the Feast of Theophany on the 6th. 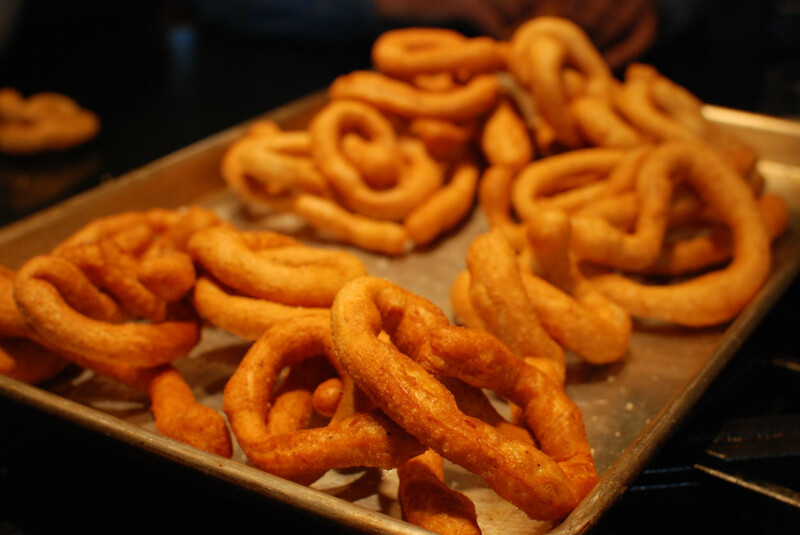 This is the one night of the year where it is considered reasonable to eat nothing but fried dough for dinner, with maybe a hunk of feta cheese on the side for those who are so inclined. 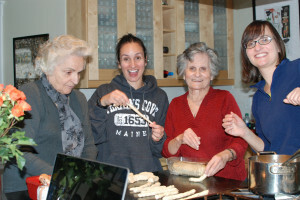 Making Lalagithes is a group effort, with many hands needed to knead, cut, roll and fry the dough. Every January 5th we fry up mounds of Lalagithes, distribute them to family and friends, and eat them until we can barely move. They are at their best when they are fresh and hot, but leftovers can be frozen in ziploc bags and reheated in a toaster oven. The dough used for Lalagithes is the same bread dough we shared here, with two additional tablespoons of salt added. 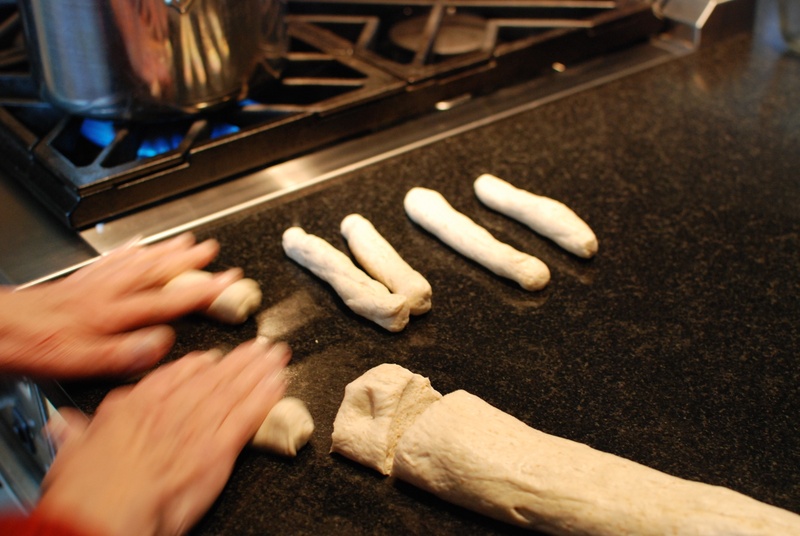 You could also try making Lalagithes with store bought pizza dough. You’ll want to add salt to the dough, place it in a large bowl that has been rubbed with oil and cover it with a towel to let it come up to room temperature. Fill a pot 1/2 way with canola or other mild vegetable oil over high heat. While the oil heats up, dip a paper towel in more oil and rub it over your work surface to prevent the dough from sticking. Roll the dough into a long log shape and cut into 2 inch pieces. Roll each cut piece into a short log shape. Next, roll the short logs into long, thin ropes. Test to see if your oil is hot enough by adding a small piece of dough to the oil. 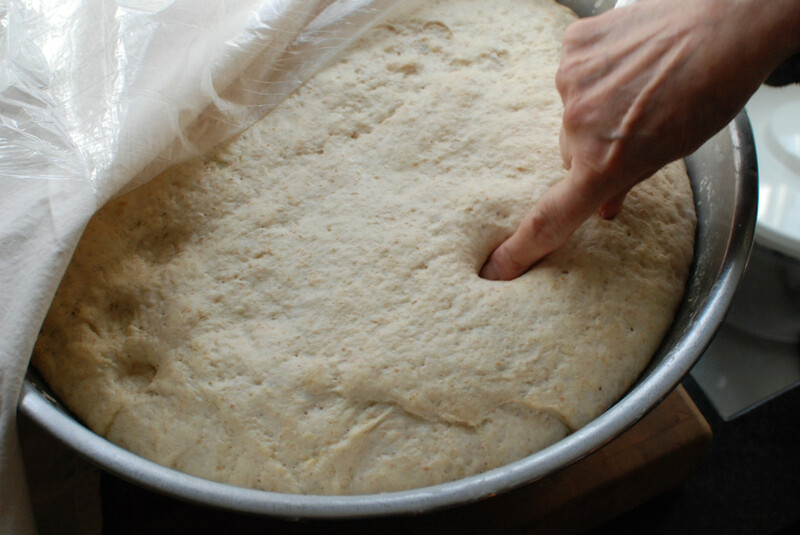 If bubbles form around the dough and the dough floats up, you are good to go. 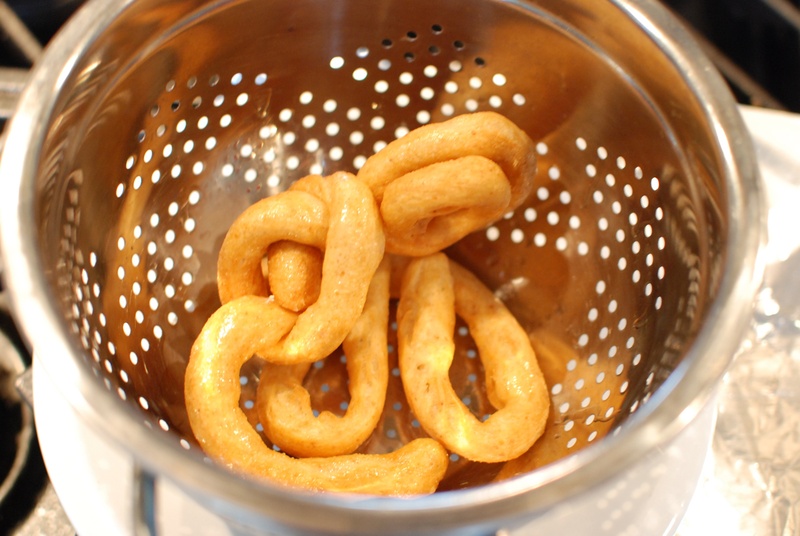 Gather one “rope” of dough into a coil and gently place it in the oil. Don’t drop it in the oil from too high up, or the hot oil will splash you. Get the dough as close to the oil as you can and gently release it. Repeat with one or two more coils, leaving enough room so that you can turn them with a long fork. Keep a careful eye on the Lalagithes and turn them until they are golden brown on all sides. If Lalagithes start to get too brown, too quickly you should reduce the heat a bit. 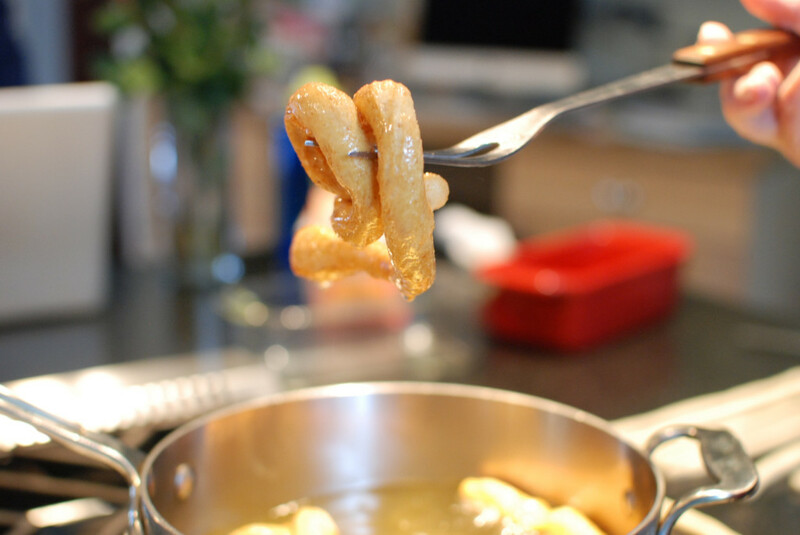 When they are perfectly golden brown, remove the Lalagithes from the hot oil. Place Lalagithes in a strainer set over a plate to drain any excess oil. After about a minute move the hot Lalagithes to a large bowl or tray. Fill a pot 1/2 way with oil and set over high heat. While the oil heats up, dip a paper towel in more oil and rub it over your work surface to prevent the dough from sticking. 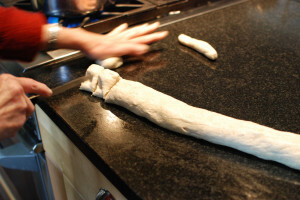 Roll the dough into a long log shape and cut into 2 inch pieces. Roll each cut piece into a short log shape, and then roll the short logs into long, thin ropes. 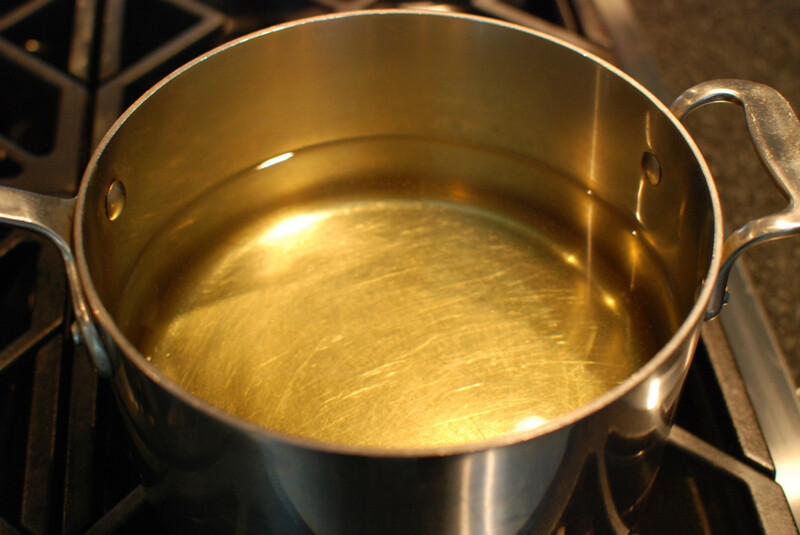 Test to see if your oil is hot enough by adding a small piece of dough to the oil. The oil is ready if bubbles form around the dough and the dough floats up. Gather one “rope” of dough into a coil and gently place it in the oil. Don’t drop it in the oil from too high up, or the hot oil will splash you. Get the dough as close to the oil as you can and gently release it. 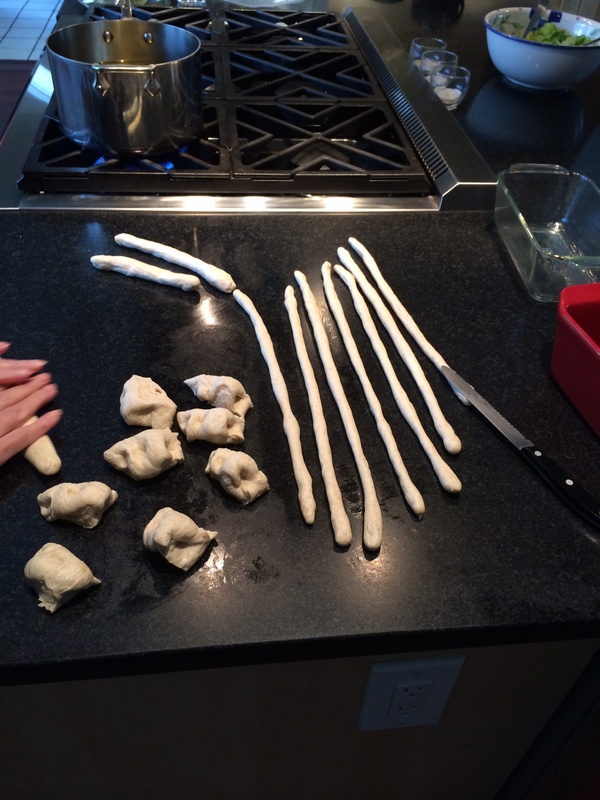 Repeat with one or two more coils, leaving enough room so that you can turn them with a long fork or tongs. 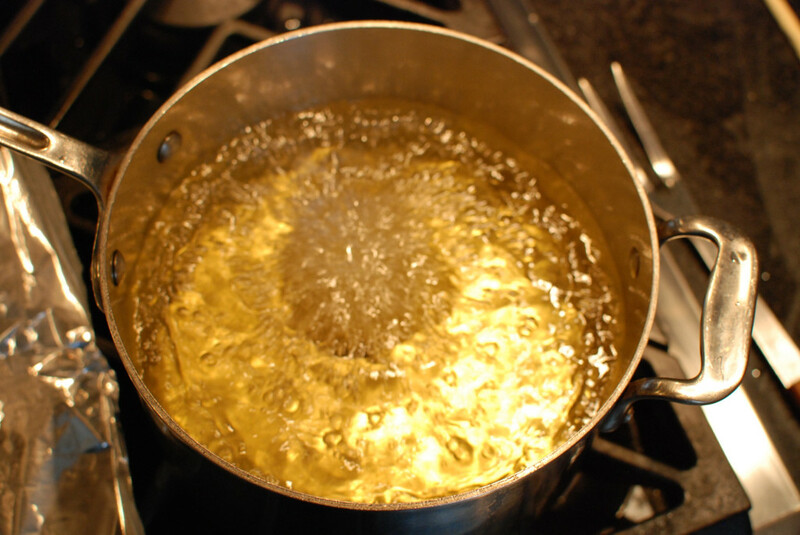 When they are perfectly golden brown, remove the Lalagithes from the hot oil and place them in a strainer set over a plate to drain any excess oil. After about a minute move the hot Lalagithes to a large bowl or tray. Lalagithes are best served fresh and hot, but leftovers can be frozen in ziploc bags and reheated in a toaster oven. 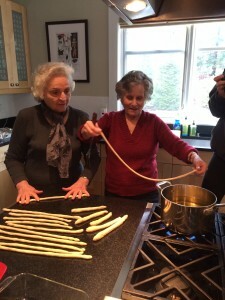 This entry was posted in Side Dish, Vegetarian on January 5, 2015 by cousins. Excellent directions for making the lalagithes. Some cookbook writers can sure learn from you. Thanks Elaine! Wish you were closer so that we could make them together!